Manchester City, preseason title favorites, remain on top of that list, while Liverpool, who didn’t even finish high enough last season to reach the Europa League, are now second. 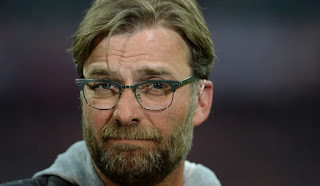 Liverpool manager Jurgen Klopp is discouraging people from betting on his team to win it all. “I don’t understand the numbers,” Klopp told Sky Sports. “I know where I come from, you keep your money, you don’t do something like this! “It is not important for me but it is better to have an optimistic mood around. “Everybody asks which is the best league and I have no idea, but that seven or eight teams think they should be top of the table or top of the league, that’s quite interesting and we all have to cope with it,” he added. Liverpool have made their back into the top four currently, and they do look like a club that will competing in Europe next year. Jurgen Klopp has proven to be a perfect fit and it looks like he’s proverbially on to something at Anfield right now. Liverpool FC 4ever © 2008.